We'll go in WUBRG order because WUBRG. First up, Outlast was interesting, but it really needed a paired "creatures you control with a +1/+1 counter on them" ability for it to ever seem worthwhile. Because I wanted to keep these slivers as straighforward as I could get away with given my other constraints for this exercise, I had to leave the possibilities of... um... exploiting (?) outlast on Slivers to the imagination. Prowess is a cool ability, but it shouldn't be evergreen, and if we're applying it broadly, it means a lot of triggers to track, especially in digital. Easier to do a single trigger across the board. I was considering doing some additional abilities beyond the basic prowess, but like with Outlast, I wanted to do the most basic version of these first. I didn't have time to check on the templating here. 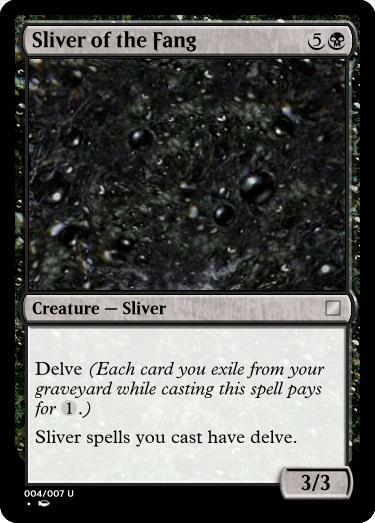 Does it give the spells delve, or the sliver cards in your hand? 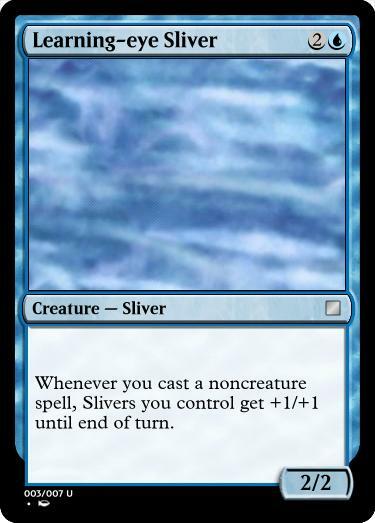 Either way, might as well get some additional utility for those slivers whose abilities we're no longer taking advantage of. I have no idea if this card is even possible to balance, but there's very little about the raid stock text that can care about slivers specifically. So all slivers get an ETB raid trigger. Damage for everybody! Oh, ferocious. 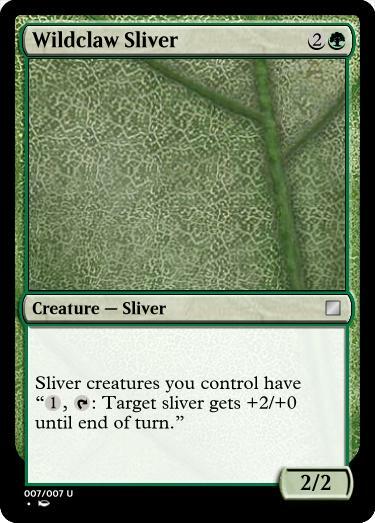 Ability word binary states really don't lend themselves to slivers, so I decided here to forego the keyword entirely and just make a Ferocious enabler. Here's the weakest link in a very very haphazard cycle. This is mostly a thought experiment, and it did inspire some very interesting ideas I may or may not follow up on soon. 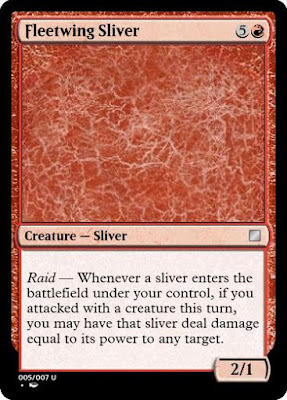 Tarkir has two abilities per clan! 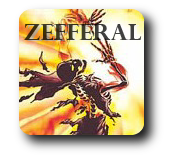 What about giving Formidable and Dash to your slivers instead? "Sliver creature cards in your hand have Dash, with costs equal to their mana costs." "Whenever a Sliver you control attacks, if Slivers you control have total power 8 or greater, Slivers you control untap and gain trample until end of turn"
Oh, there's a whole other cycle of these guys waiting to be made. 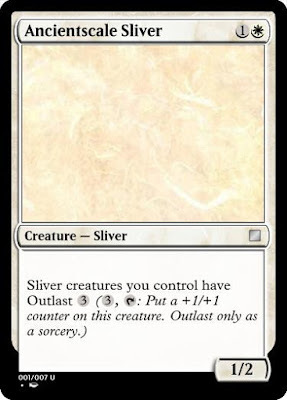 Plus, a WUBRG mythic sliver that lets you manifest, and turns your face down creatures into slivers. Face down creatures you control are slivers in addition to their other types. 4: Manifest the top card of your library.